With EastComfort you can find quality apartments, which are an alternative to Bukarest Hotels. All the Apartments in Bukarest are shownd below, ordered by popularity, price or the number of guests. Very elegant 1 bedroom apartment. It has 1 bedroom with double bed, sitting area with large living, extensible sofa, fireplace, equipped Kitchen with dinning, bathroom with bathtub and shower. Located at 7th floor, building with elevator, doorman. Its an apartment with personality and is located above Zvon Restaurant. Good placement between bars and fancy restaurants. 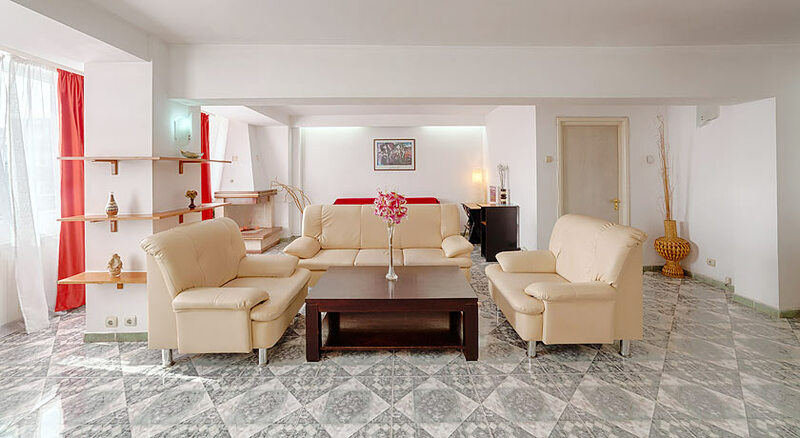 Eastcomfort Romania rental apartments are an alternative to hotel for the lower prices, central location, intimacy and, most of all, the warm, personal outlook that should not miss from any rental apartment. This pleasant lodging unit is placed in the center of Bucharest,close to Alba Iulia Square, above Zvon Restaurant. This 2 rooms apartment has a very large sunny living room with an extensible sofa and a beautiful fireplace, a open self catering fitted kitchen and a bedroom with double bed. The colorful bathroom has a bathtub with hydro massage system.The area is where this apartments is located is very quite and you will find nearby many restaurants and Caffes,where you can enyoy a perfect evening with your friends or just to explore international cuisin with Romanian influences. This nice apartment is located in the heart of Bucharest, being your perfect location during the visit, for its ensuring easy access toward all points of interest: fashionable hang-out places (restaurants, clubs, cafes, galleries) or commercial sites (stores, banks, firms quarters).These are some of the elegant restaurants located near by: Pink Cafe Restaurant, Spring Time, Ruby Tuesday and two Chinese restaurants.